In daily life, we all experience how difficult it is to have acceptable internet access in crowded areas like trains, conference rooms or public areas in cities. The challenge is that many people all need to share the same infrastructure. This is called the wireless coexistence challenge. Where wireless coexistence is a specific subset of RF interference, the term is used to describe a wide variety of interference phenomena. With the strategic ambition of many companies to make their products connected, the wireless coexistence and RF interference challenge becomes even bigger. This is certainly the case when developing applications for industry or the healthcare sector where infrastructure is a critical factor with respect to safety, public or financial impact. Degradation or loss of a function caused by RF interference can therefore result in an unacceptable safety risk or public impact within entire communities. When underlying processes are controlled with unreliable wireless connections, RF interference risks can influence the availability of public provisions (mains power, healthcare facilities, emergency services, drinking water, etc.). In addition, the new Wi-Fi standard (IEEE 802.11 AC) makes the coexistence challenge even bigger, as wider communication bandwidths are allowed. These wider bandwidths may well achieve higher throughput at first glance, but will not help improve the reliability of wireless connections in the long term because the higher bandwidths mean increasingly higher wireless coexistence or RF interference risks. Therefore, the FDA has identified the risks related to wireless communication systems and requires manufacturers of medical equipment to pay careful attention when it comes to related risks and their impact on basic safety and essential performance. Huge technology challenge, be prepared! Companies with wireless ambitions need to be prepared to execute additional development activities related to risk management, preventive design measurement and RF interference and coexistence testing to ensure their wireless designs have proven robustness regarding RF interference and wireless coexistence. According to the FDA’s quality system regulation 21 CFR Part 820, manufacturers of medical devices are obliged to manage the risks associated with their wireless design (RF interference, coexistence, multipath) which are incorporated in medical devices. In order to get the design of a wireless medical device validated under 21 CFR 820.30(g), developers must include risk analysis of RF wireless communications and control functions as part of the design validation. The medical device functions and the intended use should be appropriately matched with the wireless technology’s capabilities and expected performance. In conclusion, the focal points listed above should be part of the FDA’s risk management and assessment documentation, and test evidence for these points (including wireless coexistence and RF interference) needs to be delivered. 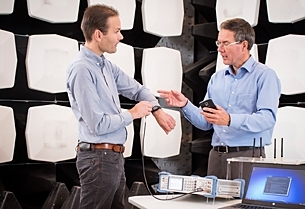 Moreover, the American National Standards Institute (ANSI) (working group C63.27) has developed a standard for wireless coexistence testing. 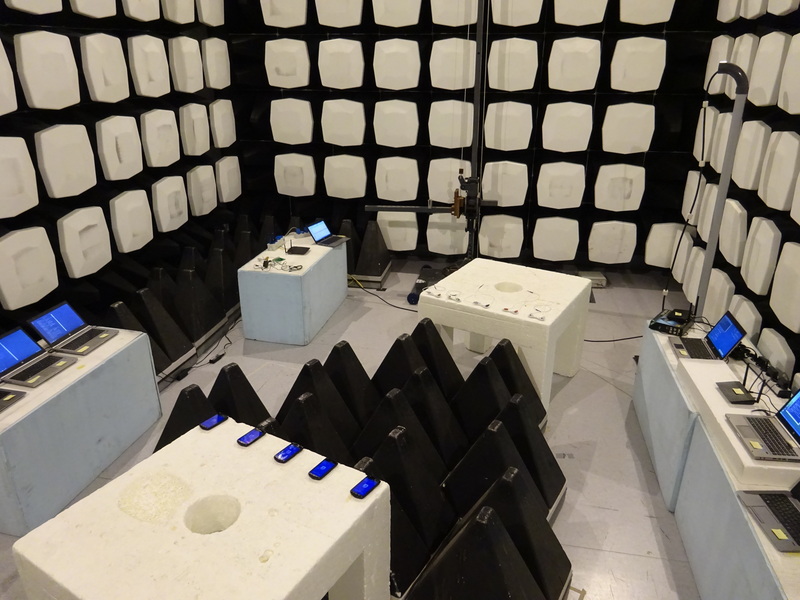 The FDA accepts wireless coexistence tests when performed according to this ANSI C63.27 standard. and indicate under which real-life conditions this QoS need to be fulfilled, i.e., the complete requirement specification. in end-user environments, like hospitals. This is only a small part of our service. Find more information about our service on RF interference and wireless coexistence design or contact our experts directly and pose your questions about the wireless design you want to develop.